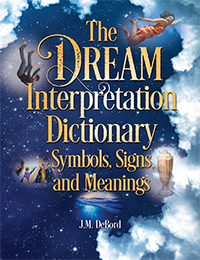 Are you looking for a forum to share and interpret dreams? Look no further than reddit.com/r/dreams. I’m a moderator at /r/dreams (that’s Reddit shorthand to identify specific forums within the Reddit universe), and it’s my favorite Internet community. I gathered material for my book Dreams 1-2-3 by interpreting dreams of Reddit users (aka “Redditors”), and I’m writing another book dedicated solely to dreams I’ve encountered at Reddit. If you’re interesting in learning about and sharing dreams, you should drop by! I’m known as RadOwl. See you there!